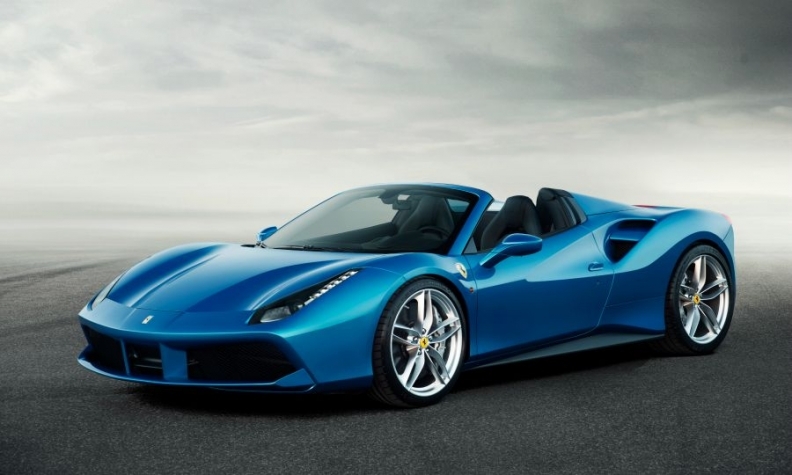 Ferrari could offer an entry-level model priced below cars such as the 488 Spider (shown) to help boost sales, analysts say. MILAN (Bloomberg) -- Ferrari is casting aside once-rigid limits on how many vehicles it makes a year as the supercar company faces the pressures of independence. After previously capping production at around 7,000 cars a year, Ferrari is considering boosting output beyond its current target of 9,000 in 2019, Chairman Sergio Marchionne said at this week's Detroit auto show. "We need to get there and try to determine whether the market can handle more than 9,000," Marchionne said. "The founder of Ferrari in 1947 had a clear view that we produce one car less than the market demands, so, as long as we pay attention on that rule, we'll be fine." Ferrari's willingness to push volume shows the tensions the Italian manufacturer faces as an independent company. Since its October initial public offering, the stock has dropped 16 percent. Meanwhile, unlike peers Lamborghini and Aston Martin, the former Fiat Chrysler Automobiles unit has rejected the idea of breaking into a new segment by building an SUV, making growth more dependent on mature markets such as the U.S.
With sports cars less in demand in markets like China, the U.S. will probably account for 35 percent of deliveries in 2020, up from 30 percent this year, according to estimates from IHS Automotive. The pressure to grow is already evident. Sales are in line to meet a target of 7,700 cars this year, compared with about 7,200 vehicles in 2014. While higher volumes could hit the brand's image, the lure is clear. Ferrari's earnings before interest, taxes, depreciation and amortization would soar 59 percent from its 2014 level to 1.1 billion euros ($1.19 billion) in 2019 if the company sells 9,000 cars a year, according to estimates from Massimo Vecchio, an analyst with Mediobanca in Milan. "Marchionne has shown that Ferrari has no real cap in production," Vecchio said. Ferrari could fuel its North American expansion by introducing a new entry-level model in 2019, such as a new version of the Dino the company first sold in 1967, said Ian Fletcher, a London-based analyst with IHS. "With the Ferrari 488 starting at around $250,000 in the U.S., Ferrari could bring to market a slightly lower-priced model that would not be detrimental to the brand." By the end of next year, North America will probably account for 40 percent of the market for cars that cost more than 100,000 euros, according to IHS. By way of contrast, the forecaster sees just 6 percent of the segment being sold in China.